EMF is a newer version of WMF, it has a range of advantages but can be not supported by some Windows-applications. That is why converting to EMF is recommended only if you are sure that your apps support and can read files of this format. 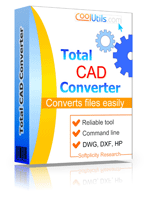 Enable Total CAD Converter on your PC. 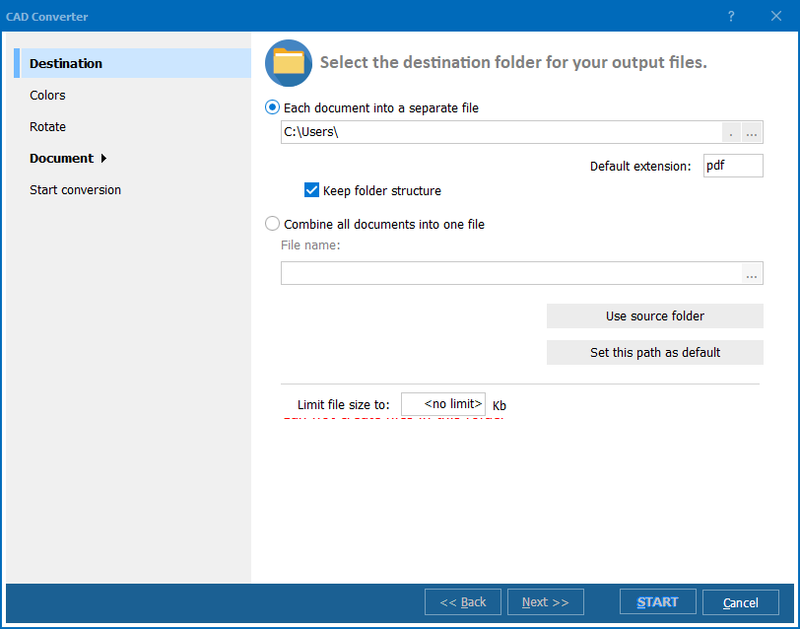 Using navigation section (the central part of the program window) pick up necessary source files by checking them in the file list. Remember that you can select any number of source files that are located at one folder. You can also select a few file folders for conversion. Make necessary options settings. After you chose source files and clicked on ‘WMF’ format in ‘Convert to’ bar, you will see the options wizard opened. Here you can modify settings to get WMF files with specific parameters. 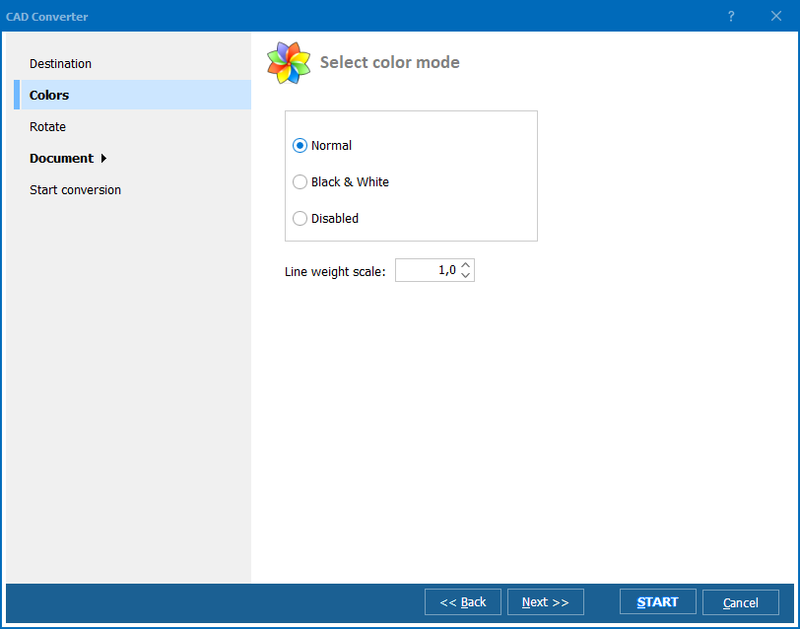 You are able to change the size of drawings, rotate them and change the set of colors. If you need to get WMF copies unchanged, do not change anything in the options window except destination folder. Confirm conversion by pressing ‘Start!’ in the options window. This button is located in the bottom right corner. 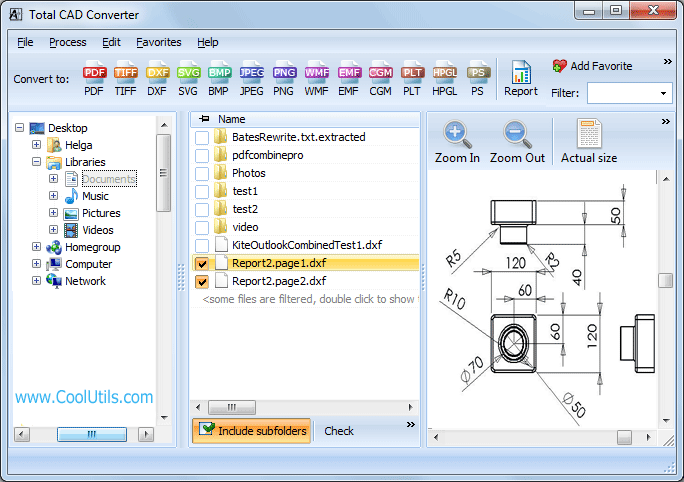 Additionally this CAD converter offers command line mode. You can use it from your Windows “Start” menu – “Run…” option. All required command parameters are described in Help menu. Total CAD Converter suits any your conversion needs supporting such specific formats as DWF and WMF. You can download your copy now! Convert DXF to WMF professionally!